“Clinical staff reported that the MES equipment is modern, enables greater accuracy of diagnosis, screening or treatment, leads to a consistently higher quality of care, enhances the clinical services and has a positive impact on patient throughput and reducing waiting times." HTI's team of experts work closely with its NHS partners to develop long-range strategic plans for all their medical equipment needs; and then we procure, install, manage, maintain, and lifecyle. 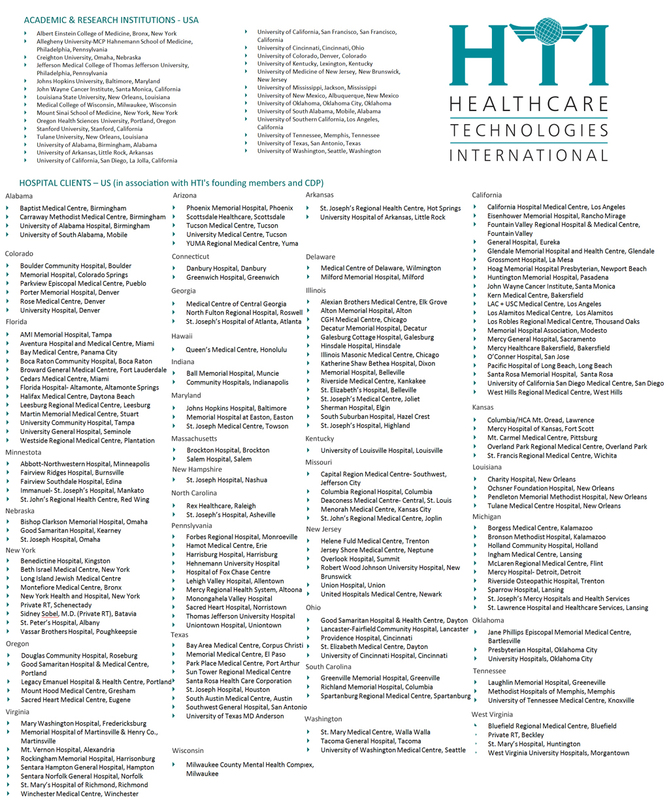 The directors of HTI have over 30 years of experience in healthcare delivery and have developed more than 200 diagnostic and treatment centres in the USA, Europe and Latin America. HTI working in partnership with our proton partners is dedicated to expanding regional access to proton therapy and in the interim to providing a seamless referral network for those patients. HTI is a unique and dynamic company established in response to the growing worldwide demand for a model of cancer care that is patient focused and delivered as close to the patient's own home as possible. Our highly focused mission is to develop comprehensive centers of excellence that will advance the diagnosis and treatment of cancer; either through public/private initiatives or through partnerships with quality local healthcare providers. Thank you for your interest in HTI. Feel free to contact us with any questions. Proton therapy has clinically proven to provide positive results for cancer patients with certain site specific types of cancer. Our mission is to expand patient and consultant access to technologies and services which will improve clinical outcome for patients. Click here to view a short video. The directors of HTI have over 30 years of experience in healthcare delivery and have developed more than 200 diagnostic and treatment centres in the USA, Europe and Latin America. Click here to see a full list of our previous projects. HTIEU.com is not affiliated with or endorsed by Open Source Matters or the Joomla! Project.